Be Ready for Your Next Outdoor Adventure! 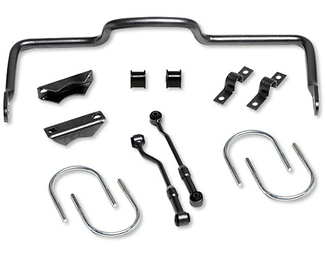 Suspension Connection offers a wide variety of trailer hitches and tow accessories. Including hundreds of "No-Drill" class 1, 2 & 3 receiver hitches for all makes and models of car, trucks & suvs. Whether you need to move a small trailer or a large boat, we have a towing product that is an endlessly useful attachment to install on your vehicle. No matter if you drive a car, a truck, or an SUV, there's a towing solution on the market that will suit your needs perfectly. 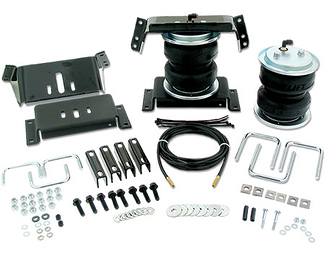 Suspension Connection has all the necessary parts and accessories you could ever need to install a towing system which will maximize the safety and comfort of your towing experience. Trailer Hitches: Trailer hitches are sturdy attachments which are mounted underneath a vehicle's rear or front bumper. You won't be pulling heavy industrial equipment with one of these, but they do an excellent job of handling light to medium loads. Installation is a breeze as each part is custom made to fit a specific vehicle model. In fact, most trailer hitches can be installed without any drilling or permanent alterations being made the vehicle at all. 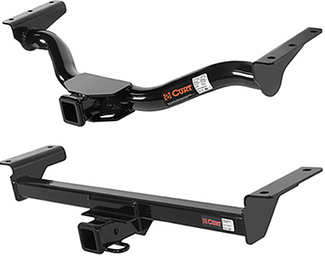 A standard trailer hitch utilizes a 1 1/4 inch , 2 inch or 2,5 inch square receiver opening to accept various ball mount heights, allowing you to tow anywhere up to 10,000 lbs, depending on the specific model. 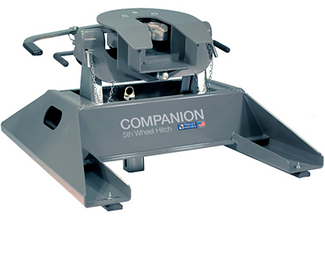 5th Wheel Hitches by B&W: A 5th wheel hitch is a high-capacity mounting system, which is fitted directly to the bed of a pickup truck. 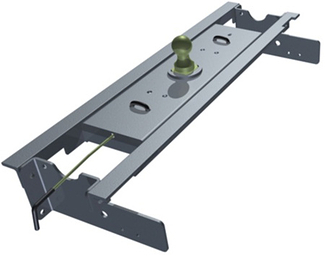 Similar to the mounting system used on commercial 18 wheelers, a 5th wheel system allows a truck to safely and securely tow large hauls such as boats, and mobile homes. The standout feature of a companion 5th wheel made by B&W is the fact they can be rapidly uninstalled, allowing the truck to turn back to a flatbed configuration within minutes of being decoupled. 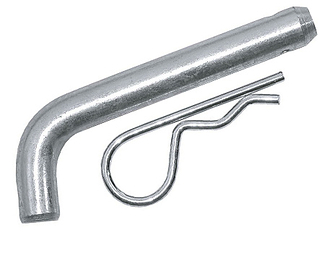 Gooseneck Hitches: Gooseneck hitches have a lot in common with a 5th wheel hitch. 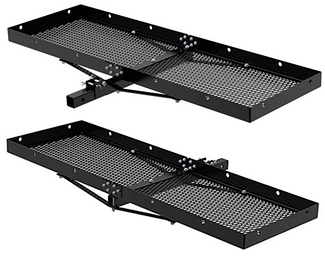 Both systems utilize a mounting point in the floor of a flatbed truck, both are capable of handling very heavy loads, and both systems are mounted just forward of the rear axle. The main difference between the two is that a gooseneck hitch has a very small profile, taking up hardly any space on the bed of a truck. This allows you to retain much of your vehicles usable bed space without having to uninstall the hitch. 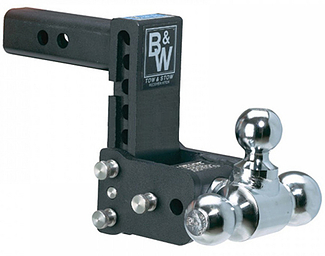 Tow and Stow Hitches by B&W: B&W's Tow & Stow mounting system is an extremely versatile product, designed to be the "one size fits all" product of the towing world. It comes equipped with multiple ball mounts of various sizes and an adjustable mounting height, allowing you to couple your vehicle to almost any trailer. 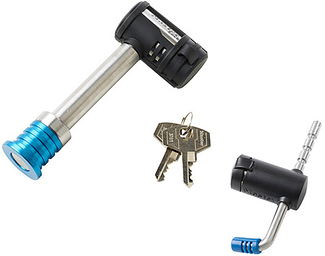 The Tow and Stow features an anti-theft system and the ability to be quickly stowed away when not in use. The Tow and Stow is a sophisticated solution for anyone who regularly tows multiple trailers of differing heights or receiver sizes. Trailer Wiring Kits: There was a time when supplying power to your trailer required splicing directly into your cars wiring, but thankfully, a more elegant solution is now available. 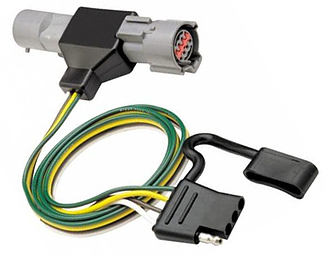 Trailer wiring kits tap into your truck's electronics via a T-connector socket, which can be found at the rear of most modern vehicles. Once installed, your trailer's lighting system can be hooked up to your vehicle in seconds without any hassle. 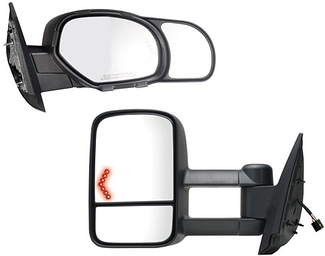 Just plug in one standard connector, and your trailer will be fully synced up to your car's rear lighting system. 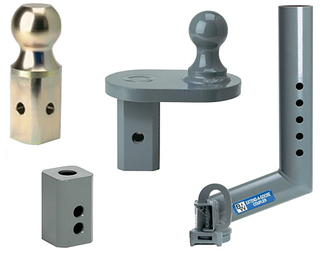 Ball Mounts: A ball mount is a metal shank which is fitted to your vehicle and holds the hitch ball in place. 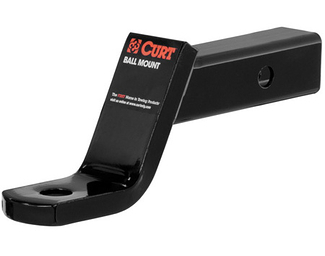 Ball mounts can typically be used with many different hitch ball sizes, and they come in a range of weight classes all the way up to class V. Ball mounts come in two main styles. A fixed mount can only be fitted to a trailer of an appropriate height, as they cannot be altered. 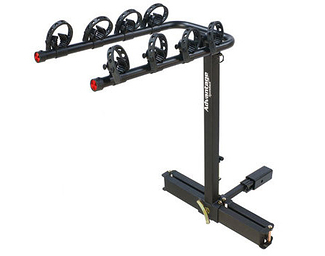 Adjustable mounts, on the other hand, can raise or lower the hitch ball, allowing you to connect to a receiver of any height. Hitch Balls: A hitch ball is a companion piece to a ball mount. 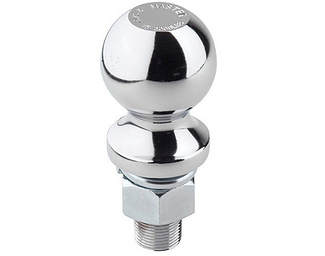 Made from hard-wearing stainless steel and often finished in chrome, hitch balls form the physical connection between your vehicle's ball mount and your trailer's receiver. Hitch balls come in a range of sizes, so it's important to fit a ball which matches the receiver of the trailer you want to tow. Whether you're replacing a tarnished hitch ball or you need a different sized ball for a new trailer, hitch balls can be picked up cheaply and last a very long time with proper care.